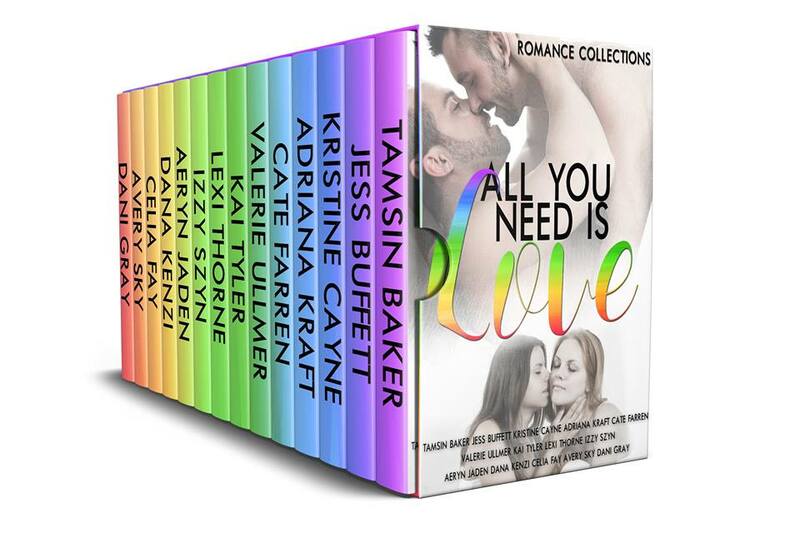 Contains fourteen marvelous stories from Tamsin Baker;‎ Jess Buffett,‎ Kristine Cayne,‎ Adriana Kraft,‎ Cate Farren,‎ Valerie Ullmer,‎ Kai Tyler,‎ Lexi Thorne,‎ Izzy Szyn,‎ Aeryn Jaden, Dana Kenzi, Celia Fay, and Dani Gray. 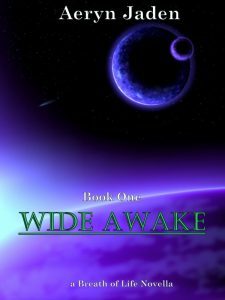 Aeryn Jaden’s contribution is an extended version of an old story of hers, Wide Awake, which was previously published and an entry in the ManLove Fantasies Contest. Than has his life figured out. He’s a fleet security officer, he’s exploring the space and is happily unattached. Nothing out of ordinary. Until everything goes wacko. Suddenly the ship he’s stationed on is malfunctioning, he’s rudely awoken from cryo by a pole crashing on his capsule and has…memories he shouldn’t have. What the hell is happening? He’d better figure it out, and soon, lives may just depend on it. *Where was I? * It was dark and void. He could hear only the beats of his heart and his faible struggles to breathe. He could not move. He could not think. Where was he? K’Aran! His drakar will know, he will come. K’Aran was a great warrior even among his people. He will not let Than die, of that the human was sure. That did not mean Than was a weakling. After all, he’d been a lieutenant in the AEF- The Alliance Exploration Forces, sometimes called the Alliance’s Army before… Before? Before what? His struggles to breathe renewed, this time fuelled by despair and pure unaltered panic. Than knew it was important to remember something. He knew he had to open his eyes, to assess the situation and establish a perimeter of defence. Than knew what to do. He had trained his entire life to survive exactly this type of situations – waking up in a strange place, immobilised, no memory of how he’d got there. It was like a reminiscence of the special training course Than had taken after the Academy to qualify for deep space exploring. The memory of the torture they had subjected him and the others to, before allowing them to go on their first official mission was strangely calming. Than forcibly regulated his breathing, taking smaller and smaller gulps of air. Now that he was calm, he could feel that something was terribly wrong. And it wasn’t just a bone-deep intuition. The air was wrong, too thin and cold for Arkana. It resembled… cryo regulated air. Medical kept the oxygen level thinner when resuscitating humans , something about not shocking their lungs. Only it was for a couple of minutes at most. Than had mentally counted five minutes from the moment he’d first regained a state of semi-consciousness. His eyes did not want to cooperate. Than needed to see. He could smell something burning and that worried him. Arkana was very careful about wildfire as their homes were suspended constructions in forests of wild vegetation. An uncontrolled fire was certain death for the prey that sustained the population. The people on Arkana were absolute carnivores unlike humans. They needed the animals to thrive and survive. Both the cryo-air and the scent of smoke were becoming insistent, his lungs now struggling to inflate. A sick feeling started in his stomach but Than still did not want to think about why it all seemed so familiar. By now another couple of minutes had passed… Wait, why am I waiting for the flux of air to change? His eyes popped open and Than screeched. She was born in Romania but cannot stay put. One year you’ll find her in England, the next in Greece or Belgium. Who knows where her restless feet will carry her next… One thing remains constant and that is her totally healthy Internet addiction. 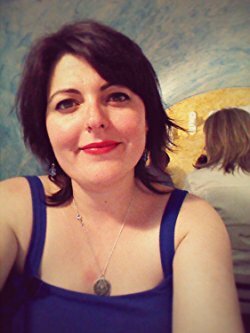 So you can find her on Facebook or email her at aerynjaden@yahoo.com or better yet at her website http://aerynjadenauthor.weebly.com/. She’ll love to hear from you so please stop by!